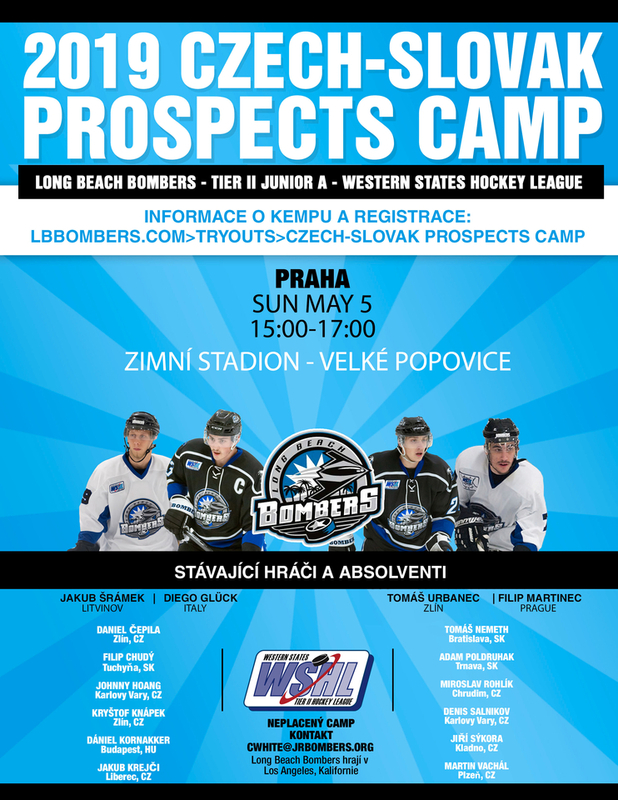 The Long Beach Bombers Tier-ll Junior A hockey club of the Western States Hockey League is hosting their second Czech-Slovak Prospects Camps, after a successful 2018 camp. The camp will be held near Prague, at Zimní Stadion - Velké Popovice. The camp is free for prospects born in the year 1999, or younger. In addition to the new prospects, many former Bombers alumni will be in attendance. The Bombers have had over 20 players from the region. The Bombers have signed players with experience at the following levels: World Junior Championships, National Teams, Czech Extraliga, Czech J20, Czech J18, Slovakia J20, Metal Ligaen, Belarus Extraleague, Allsvenskan, SWE Division 1, SWE SuperElit, SWE J20 Elit, J18 Elit, AlpsHL, and more. 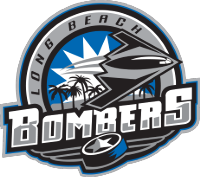 The Bombers have successfully hosted nine camps in Europe, and have signed at least one player from each.